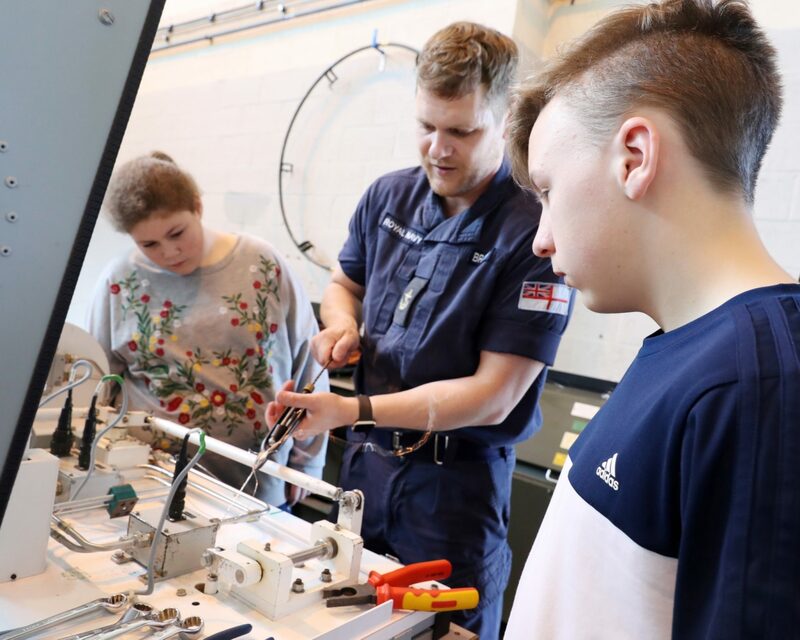 The Jon Egging Trust had the pleasure of taking a team of Year 8 students to HMS Sultan for the final part of their Teamwork Inspirational Outreach Programme on the 4th May 2018. The students have been part of an on-going programme to encourage teamwork over the last few months. 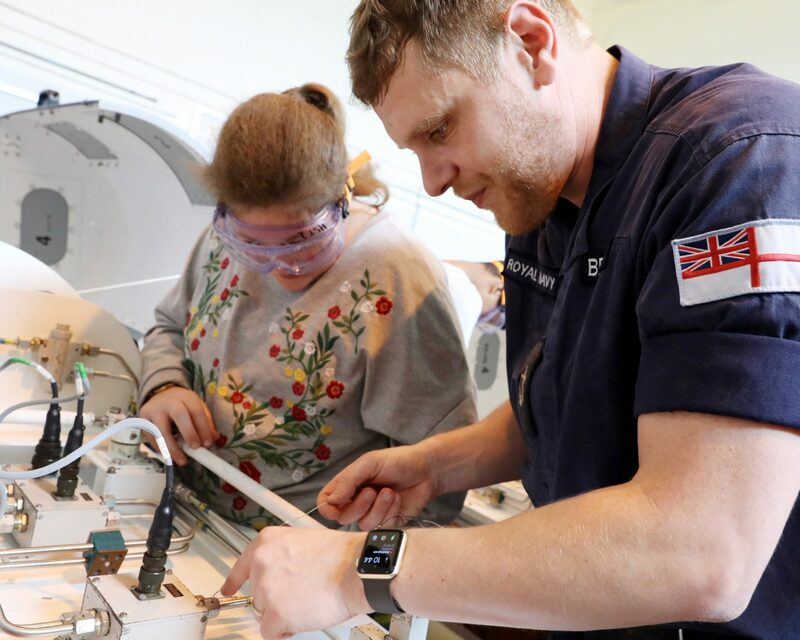 As part of that programme they have had sessions on teamwork, led by Area Director Allie Hack and goal setting and resilience, led by RAF personnel from MOD Boscombe Down. 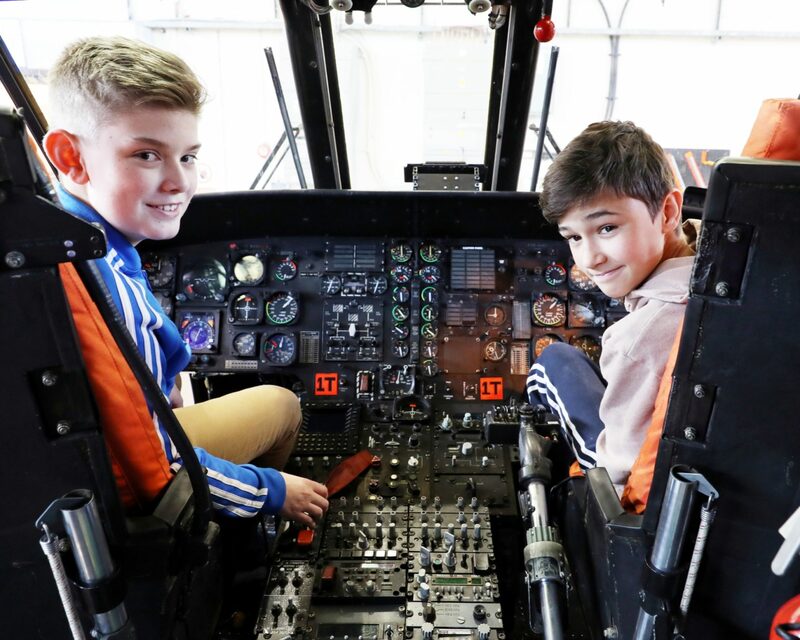 The programme culminated in a visit to the Royal Naval Air Engineering and Survival Equipment School where the students were given a brilliant tour of the helicopters used in training. 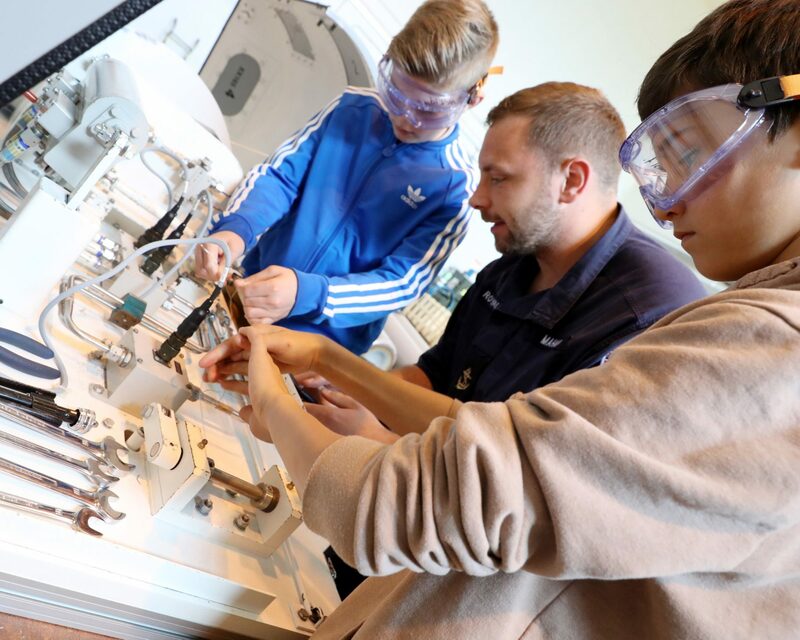 The students were taught and asked to complete activities that are used to train rotary engineers which was extremely interesting and engaging. After a fantastic lunch in the Junior Rates Mess the students were put through their paces in a set of teamwork tasks.